Down under, kangaroos are a nuisance, but everywhere else, they're a charming species! 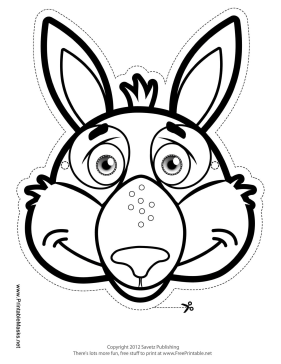 Now you can dress up as a kangaroo with this coloring page mask, which has long ears, a small nose, and tufts of fur. This mask is free to download and print.